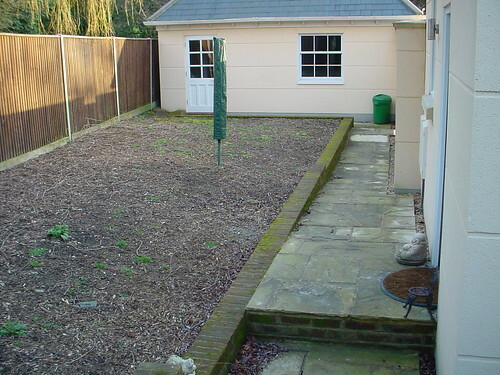 A genrous plot with grand ideas! 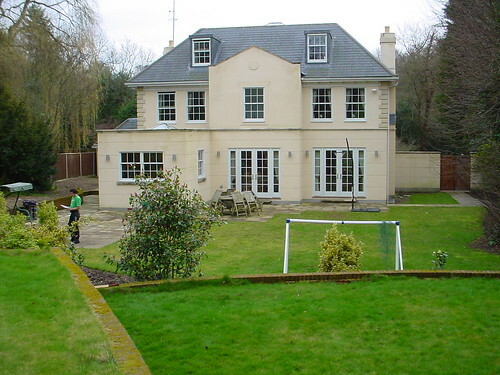 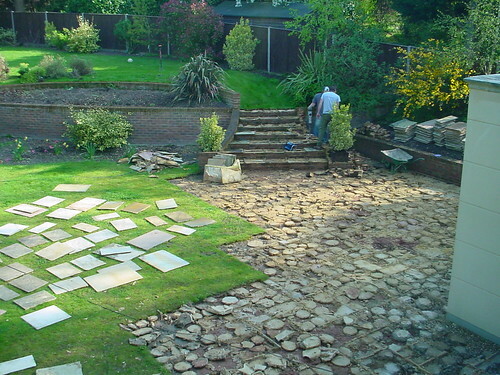 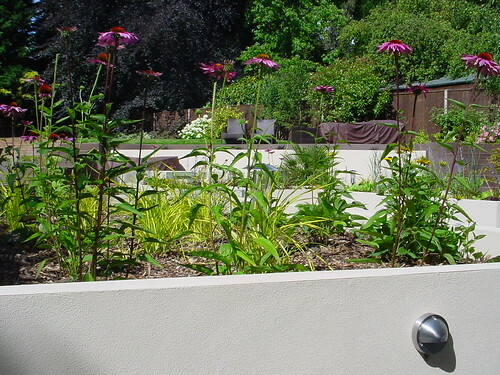 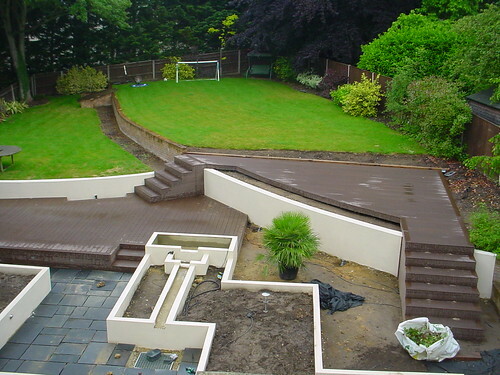 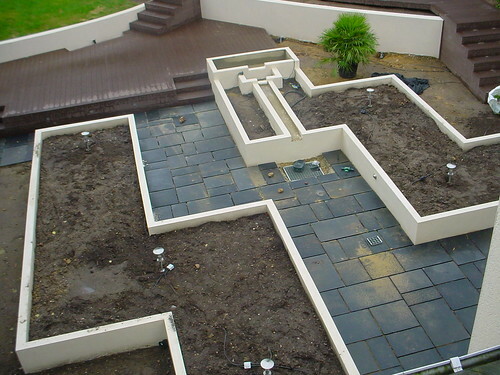 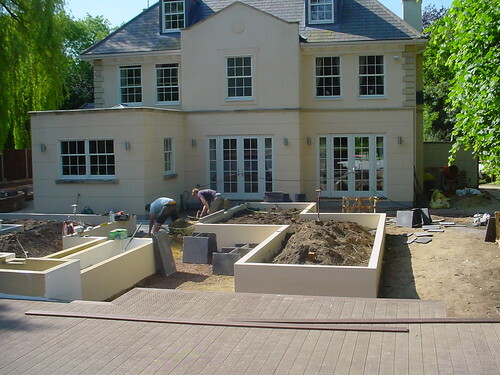 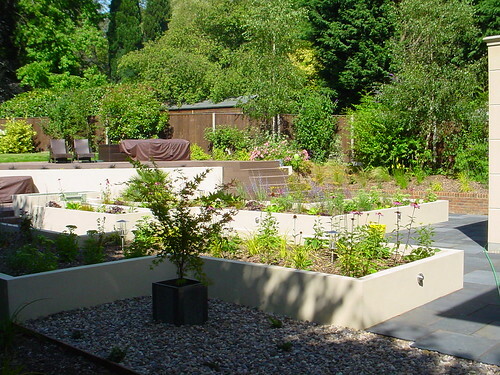 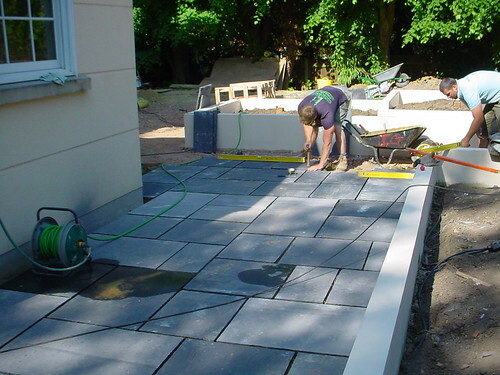 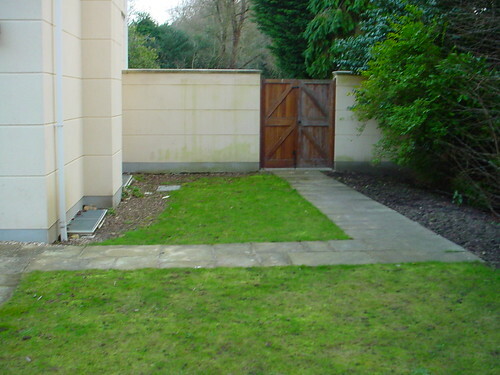 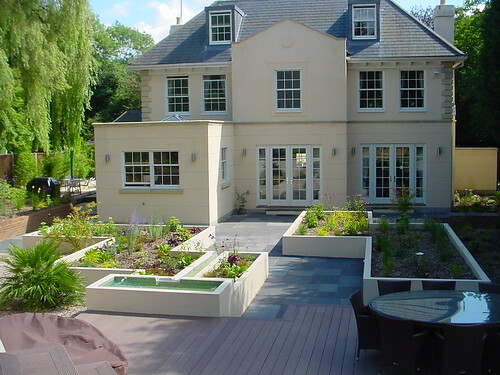 The client wanted to extend the modern feel of the house into the garden space. 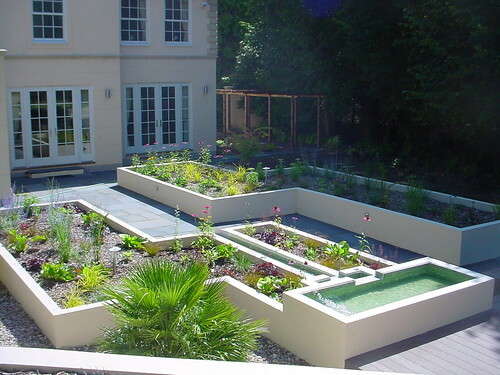 The garden had to be elegant, with clean lines with a striking central water feature. 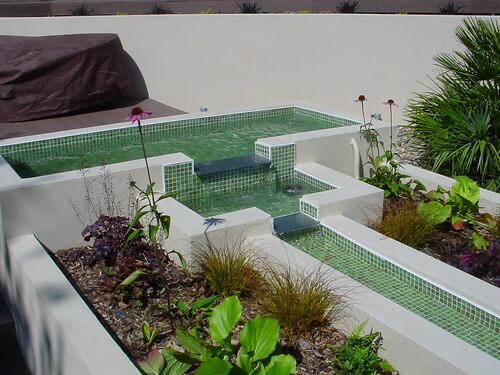 The final design included a three tier tiled water feature, surrounded by an abundence of natural colours from the perrenal planting. 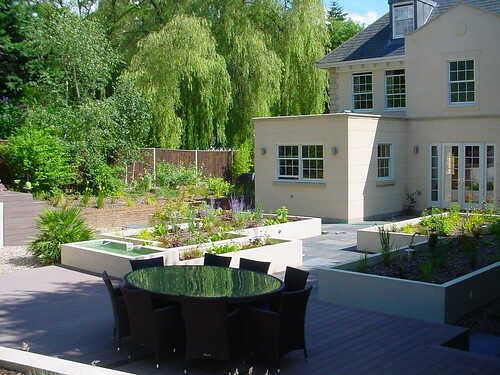 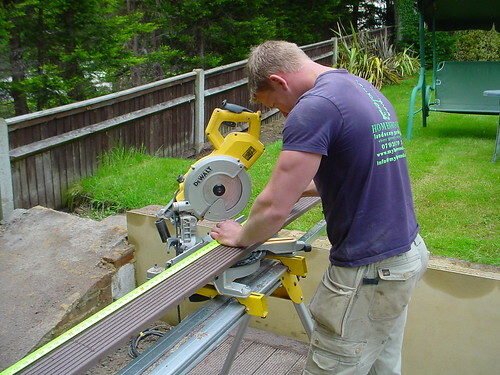 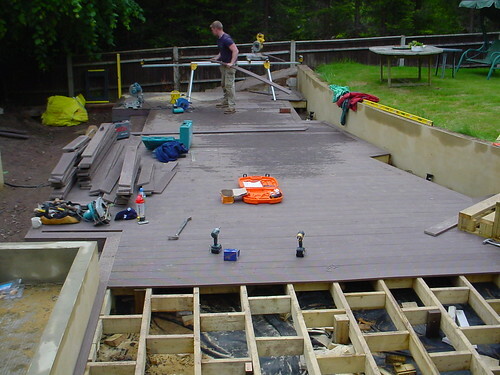 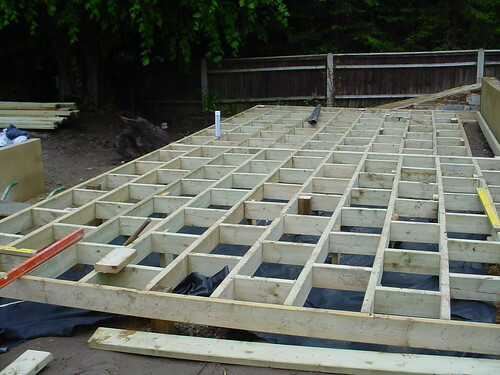 The large dekcing terraces were constructed using "eco" dekcing, artficial timber deck boards. 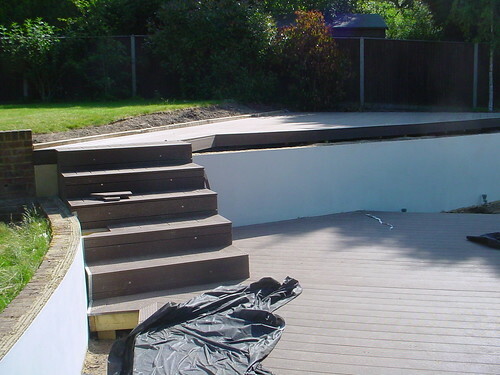 This provided a perfect surface for large scale entertaining. 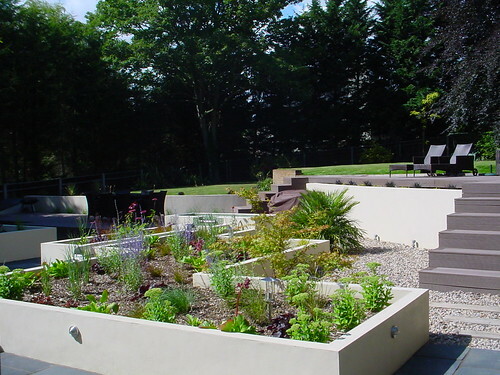 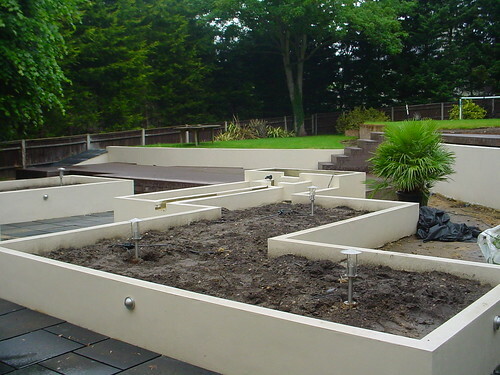 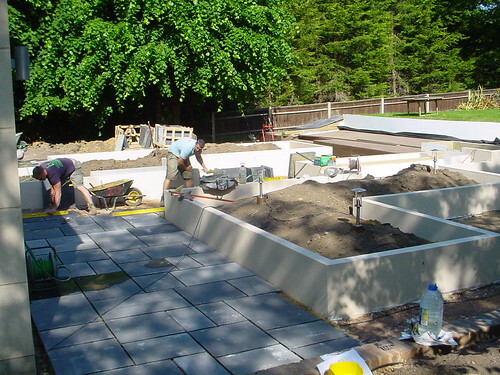 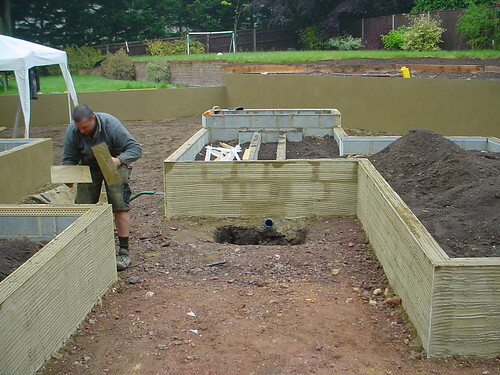 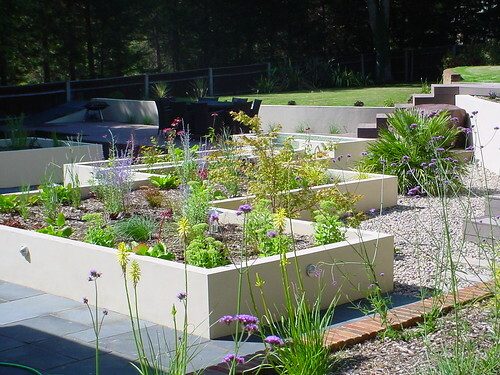 The raised renderred beds provide an elevated platform for the plant life to develop, by planting at height, a striking visual is acheieved from the house and from all corners of the garden area. 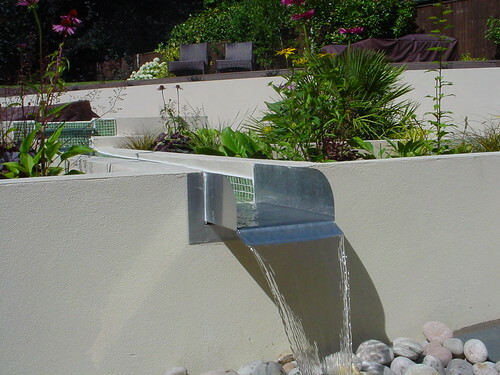 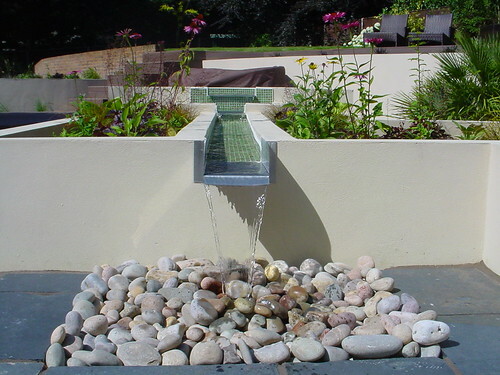 The water feature cascades over a stainless steel rill, creating a dramatic point of interest and filling the garden with the soothing sound of running water. 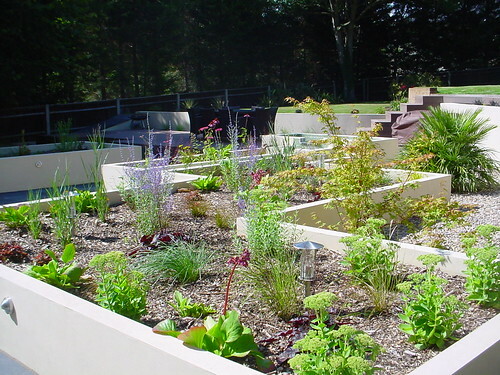 The homage to Japanese gravel gardens, creates a "garden within a garden" feel and creatings a wonderful contrast to the more mediterranean feel of the garden. 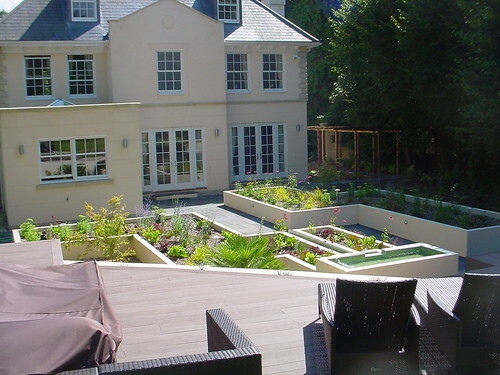 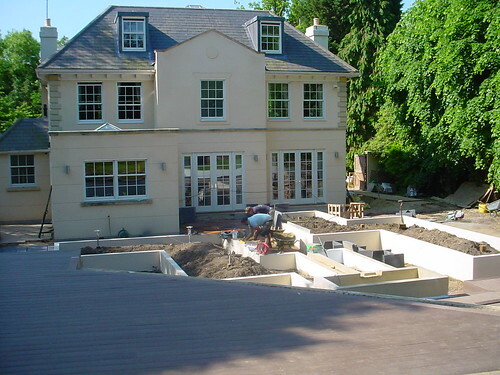 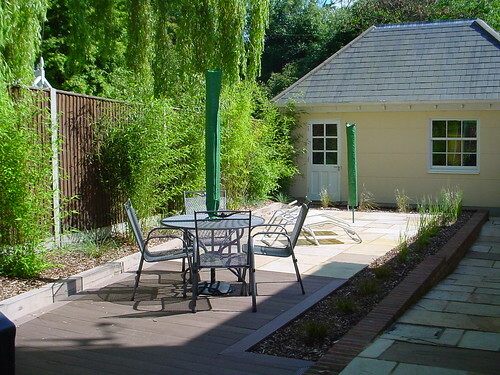 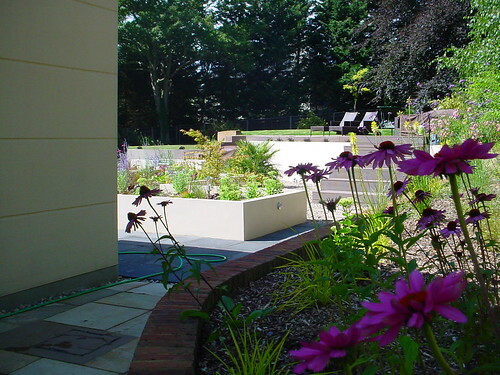 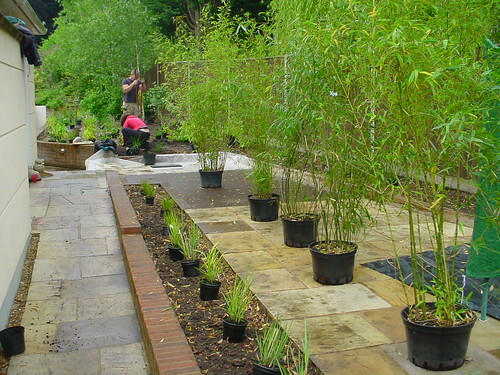 The garden was constructed over two months at a final build cost of £48000.